THE GOVERNMENT’S AFFORDABLE housing scheme has been scrapped under new measures which encourage people to rent their homes. The new initiative, announced today by Housing Minister Willie Penrose, is a reversal of previous policies which aimed to boost home ownership. Minister Penrose said this had contributed to the housing bubble and subsequent economic crash. “As a society we allowed an obsession with property to run away on us, losing sight of the important things,” he said. The affordable housing scheme aimed to give first-time buyers a foot on the ‘property ladder’ with discounts of up to 40 per cent. However, as property prices have nosedived, the discounts offered have become insignificant in many areas. Last year RTE reported that councils were selling homes marked for affordable housing on the open market, because the potential buyers on the waiting list were not interested. Another measure will see housing support in the form of the rent supplement scheme transferred to local authorities from the social welfare service. Minister Penrose said this was aimed at reducing the number of households depending on long-term rent supplements. “Rent supplement was designed as a short term income support; it was not intended to meet long term housing needs,” he said. The Housing Policy Statement, launched by Minister Penrose today at the Housing Practitioners’ conference in Mullingar, also confirms that the Government is preparing to introduce a property tax as a condition of the IMF/EU bailout. Email “Affordable housing scheme scrapped after plunge in property prices”. 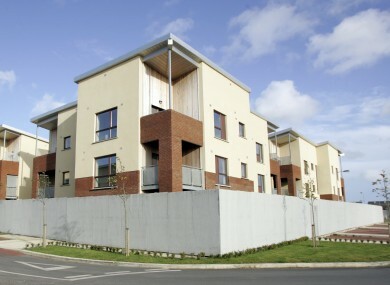 Feedback on “Affordable housing scheme scrapped after plunge in property prices”.